Queen Anne was established as an elite neighborhood for Seattle's wealthy founders in the early years of the city. But Queen Anne is quite large, and its character changes from street to street, with some roads still lined by stately manors, while a block away are grids of residential streets, lined with large craftsman homes and quaint cottages. Homeowners have been fairly active in keeping the aesthetics of the neighborhood consistent, so most of the more modern construction has been centralized around the thoroughfares, especially Queen Anne Avenue, which is also the center of retail and dining for the neighborhood for Upper Queen Anne atop the hill, down into Lower Queen Anne at the northern base of the hill, whose residential options are mostly condos and apartments. There one finds a dense blend of retail, dining and cultural activities. That includes Seattle Center (whose McCaw Hall is home of Pacific Northwest Ballet and Seattle Opera), as well as independent film hotspot SIFF Cinema Uptown and avant-garde performing arts organization On the Boards. Stuhlberg's: Chic gift and décor shop based in a residence, especially featuring clothing and toys for babes and tots. El Diablo Coffee: Comfy, tree-lined setting, featuring Cuban-style espresso, Mexican hot chocolate, smoothies and wine. 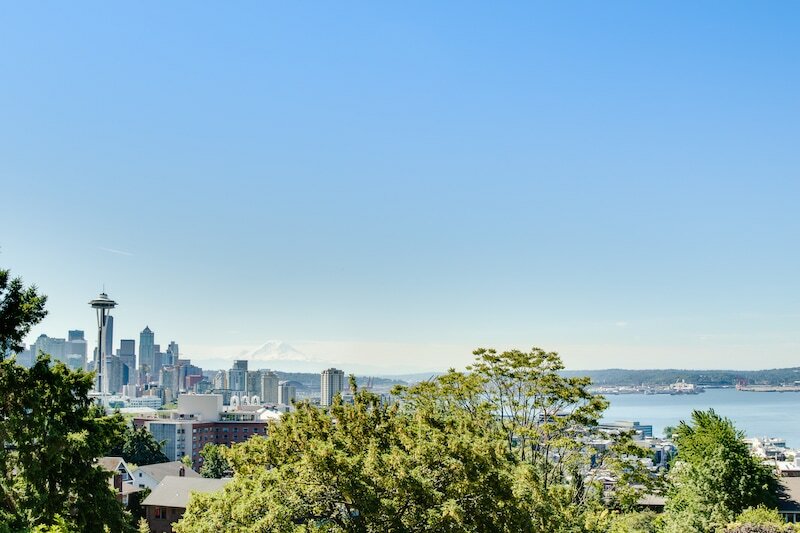 Kerry Park: A small park with one of Seattle's most iconic views, spanning across downtown and Seattle Center. How to Cook a Wolf: Acclaimed chef Ethan Stowell's project specializing in Italian-Mediterranean fare and charcuterie. Robert Ramsay Cellars: A cozy tasting room for WA-based winery, Robert Ramsay, also featuring beer and food pairings.